Our mission is to offer elite customer service while implementing your personalized financial plan. We understand that in today's marketplace information is everywhere, but information is not the same as education. 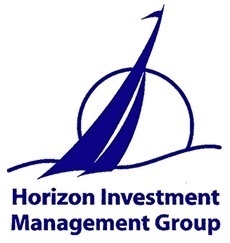 At Horizon Investment Management Group we use our decades of experience help our clients sift through the clutter of information they see every day to determine what is important to them and their future. And then help use this information productively to guide them toward their dreams. Our company was founded on a philosophy of unequaled customer service. We are committed to maintaining the highest standards of professionalism and integrity, while delivering to our clients the most effective solutions to their investment needs. But more than this, we strive to do it in the most "client centered" ways possible. We believe it is an honor to be selected by someone to serve as advisor for some of their most important life decisions. From your first contact with us, we work to create a comfortable and successful relationship. We first work closely with each client to help ensure that the strategy we establish best fits not only their objectives, but also fits within their risk parameters. We provide ongoing consultation to make sure this plan stays consistent with life changing events. And, by providing a written plan and regular performance tracking, we seek to provide the discipline necessary to keep focused on the long term goals while adjusting for short term issues. Our goal is to provide our clients with financial solutions that succeed in the long term by not losing in the short term. We believe that through proper planning, regular evaluation and investment discipline this is possible. When you call or stop in, expect to hear a friendly voice greet you, and an answer to you question as timely as possible. Our clients are our most important asset. Let us prove it to you.